he king of beers no longer rules. Sales dropped by nearly a third between 2005 and 2010. Some of America’s most famous beers have lost a tremendous amount of their national sales over the last five years. Mostly, they are full-calorie beers, and they have lost sales to lower-calorie products, as well as imports and craft beers. 24/7 Wall St. looked at the 23 largest selling beer products in America and found eight that have lost a staggering 30 percent or more of their sales between 2005 and 2010. Surprisingly, Budweiser, the best-selling beer in America for years has lost 30 percent of its sales over the five-year period. Given that Budweiser sold 18 million barrels last year, this is a massive loss — more than 7 million barrels less. 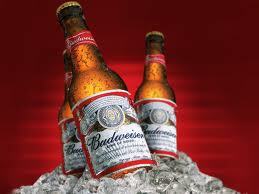 Sales of Bud Light, on the other hand, held steady at just over 39 million barrels during the five-year period. Six products on our list have lost half their sales since 2005.